Melissa Morgan : It's Christmas ! I'm really looking forward to Christmas this year. That might be because I've got a whole ten days off work, or it might have more to do with finishing the edits on my current work in progress a few days before my self-imposed deadline of December 25th :) Typically, having struggled through a period of disenchantment, now I'm full of enthusiasm again and itching to go back to it and tweak. Isn't that the curse of being a writer?! I will be disciplined, however, and leave it alone to settle, with just a final read through after the New Year, and then away it goes to the editors. But I'm not going to deprive myself of romance completely over the holidays - albeit in a purely fictional sense. 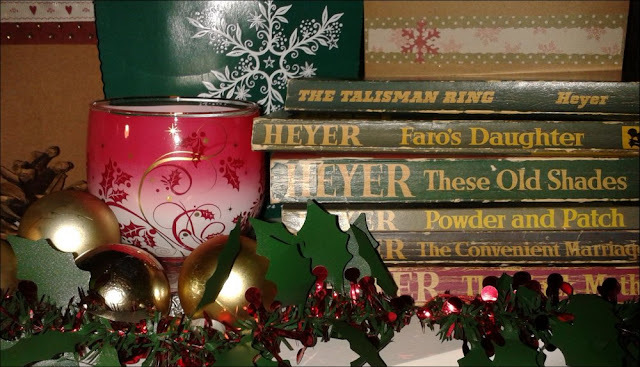 I've lined up a few of Georgette Heyer's historical romances to keep me happy. Her characters are so full of life that they leap off the page and I love her spirited blend of romance, adventure and suspense. Add in some wine, chocolates, mince pies and candles, and you have . . . . sheer Festive bliss!